At Rawda College we cater for a range of courses that are Islamic, Secular and Humanist. Rawda College delivers a range of courses that are in addition to being for intellectual and spiritual development, a stepping stone to further education or employment. Therefore, we have our short courses in Parenting, Drugs awareness or Money management, as well as our longer courses linked to employment such as our Level 3 Award in Education and Training, for more advanced learners. We aim to extend our portfolio of programs and courses in responses to the need of society, and build on employability related programs. In addition to this we also run termly classical Arabic courses and also have our educational and spiritual Islamic courses such as our Tajweed (Quranic Recitation) and Fiqh (Islamic Jurisprudence) courses on various topics such as fasting, purification, prayer. Hadith recital of the Muwatta of Imam Malik with Ijazah for those who heard the full text (full sama’) . 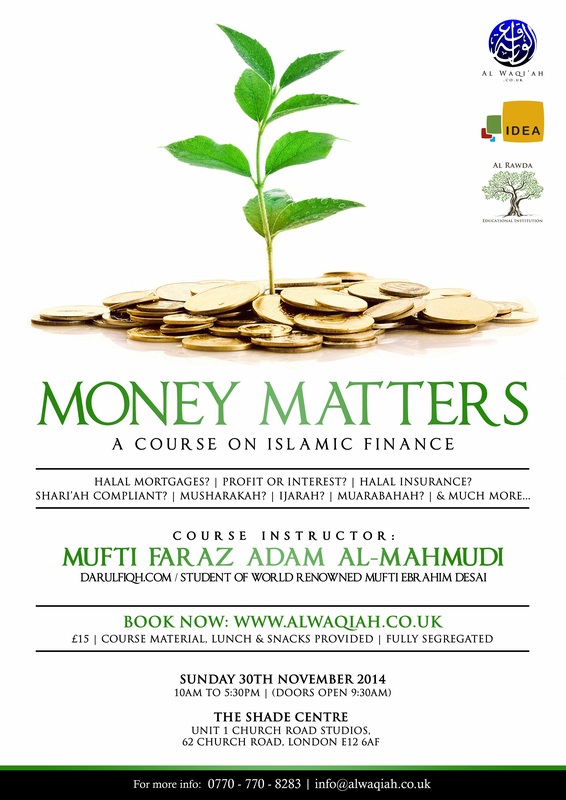 (£10 for ShadeCard, existing Rawda students and existing IZA students). A unique course focusing on arabic syntax, morphology and spoken arabic. This course is aimed at post-graduates who have completed the ‘Alimiyya or have studied Arabic previously and would like to emphasis on speaking by building confidence and strengthening their grammar. The course will be delivered by qualified Arabic speaking teachers. A unique opportunity to gain a deeper understanding of the divine verses and its exegesis. An in-depth course treading in the footsteps of our beloved prophet (saw). Please Note: We may be able to come to your premises to deliver some of the courses. – We can even build the Madrasa a simple website! These courses are bespoke, we can create a package for you. Does the institute have Public Liability Insurance? Safeguarding Children in a Masjid & Madrasa setting. This is a must for all masjid and madrasa staff. A unique comprehensive course focusing on the language of the qur’an, hadith and classical (fus’ha) arabic. You will learn to read, write, understand and speak arabic including modern usage for travel and communication. The syllabus is progressive, such that students will be equipped with the relevant skills as they complete each stage. subjects include: arabic literature, grammar (syntax & morphology), Arabic handwriting, reading (comprehension). fiqh (in arabic from term 2), seerah (in arabic from term 2). Tajweed (qur’an recitation acording to hafs riwaya). Aqeeda (al tahawiyya from arabic text). Please note: most of the work will be class based. Homework will be minimum! 12 Weeks Course, Two days a week. A structured 24 week female only intensive Qariah course for Quran Teachers. A structured 12 week female only intensive Tajweed course for both basic learners (level 1) as well as intermediate learners (level 2). A structured 12 week female only intensive Seerah course (Biography of The Noble Prophet Muhammad pbuh) Want to know more about The Final Prophet (pbuh)? His struggles, his victories, his advices, his friends, his family, his character and mannerisms? We are providing an intensive Seerah course for mature students. We will insh’Allah cover pre-Islamic Arabia, the history of Arabia, the Prophet’s (peace be upon him) ancestors and family, as well as his blessed life from birth to Hijrah (age 0-53). After finishing this course if you wish to advance on to studying the Madina Period. We will also provide that insh’Allah. This is a half day programme which will highlight the universality of Islam and how its day to day practice should impact not only our lives but also our community and the whole environment. The Shaykh will explain the hadith and its relevance not only in the past but examples of its implementation in the modern world and how the sunnah can lead towards a better society. A structured 10 week ladies only Tajweed & Hifdh Course. Come and learn the proper method of recitation in the manner that Allah Azza wa Jal revealed the Qur’an to the prophet ﷺ , as well as memorise the Surahs from the last portion of the Juz Amma with the correct pronunciation. This is a brilliant opportunity to memorise and be able recite properly before the blessed month of Ramadan. This course will be taught by experienced Alima teachers, who not only have Ijaza to teach Tajweed but also studied courses to perfect their own recitation. Entry Guidance: This course is aimed towards people who are able to already identify the Arabic alphabets as well as reading simple sentences. Students will learn to correct their pronunciation and reading fluency, they will also learn to memorise the short surahs from juz ‘amma in order to read in prayer. Student’s needs will be assessed and considered which will help us tailor a simple, progressive and effective correction procedure. A structured 10 week ladies only Course on the Fiqh of Ramadan. “The month of Ramadan is the one in which the Qur‘an was revealed as guidance for mankind, and as clear signs that show the right way and distinguish between right and wrong. So those of you who witness the month must fast in it. But the one who is sick, or is on a journey (should fast) as much from other days (as he missed). Allah intends (to provide) ease for you and does not intend (to create) hardship for you. All this is so that you may complete the number (of fasts as prescribed) and proclaim the Takbir of Allah for having guided you, and (so) that you may be grateful.” Have you been uncertain on what time to break your fast, a minute before, or should you wait till the sun goes down? What time should you wake up for Tahajjud and when should you finish praying by? Can you touch the Qur’an during menses or recite it? Are you able to adequately able to explain to your own family or children about what they can do, should do during the month of Ramadan. If you’re not clear this is a brilliant opportunity to come and learn about the rulings of Ramadan. How to observe the fast its timings, what is lawful and what is prohibited. A structured 12 week female only intensive Arabic calligraphy course. A structured 12 week male only intensive Arabic language course.